No this won’t be a history lesson on why Africans wear Tribal Makeup or face painting when something as simple as a Google search can locate this information. It’s pretty easy and straight forward, tribal makeup and tattoos are meant to identify. With makeup, African tribes use it to celebrate weddings, births, deaths, along with identifying as a group when going to war or to just distinguish between different tribes. The tattoos, of course, are more permanent and usually surrounds a major ritual or right of passage. Some tattoos or face painting are to identify different hierarchy within a tribe, warrior versus warrior chief. 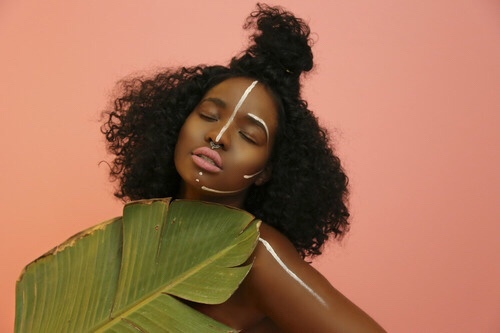 Trending with the natural hair communities are Tribal makeup. Not only for African American but descendants of native Indians as well. Done simple and well, it can look positively gorgeous and not to mention it will stand out as being bold and fashionable. It brings a dimension to the face that gives off a striking individuality. Now sceptics may feel that mainstreaming such a tradition allows for mass commercialization and it will eventually become not as unique. However, we at Bawn Natural will embrace any movement or mass commercialization of a tradition that can give the world incite into out roots of being naturally beautiful in every race. Now, what do you think, is this a look that you can wear or is a to Fake? Is it a Fad that will fade away or will now be the new mainstream fashion?